The Lovebox festival famously grew out of a club night put on in 2002 by UK Dance music heavyweights, Groove Armada. Their original idea was to hold a one off party spectacular on Clapham Common celebrating their one year birthday in 2003 – little did they know that this would spark a fire that would see this party grow into one of the most popular festivals in the UK’s capital city. 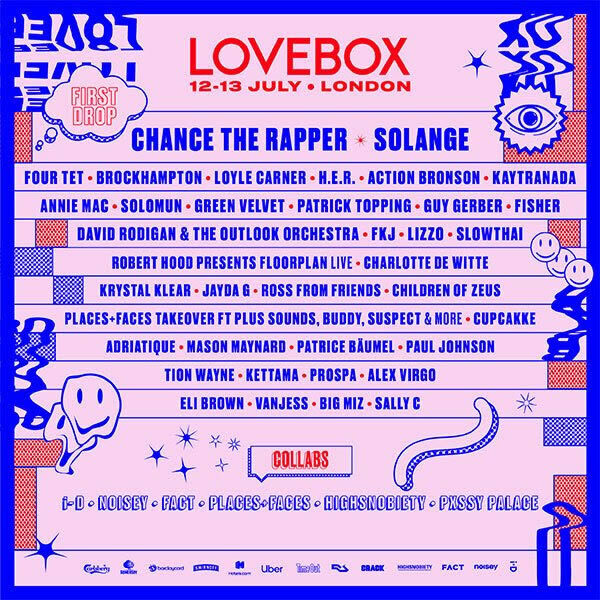 Even though Lovebox’s origins lie firmly planted in the Dance scene over the years the event has grown to include all kinds of different musical genres including the very best Indie and Pop acts of the moment. They’ve also added the tents, bars and side attractions – including holistic therapy centres where tired dancing folk can get a shoulder rub – in line with the rest of the UK’s best festivals. As you’d expect this is not an event where you’ll find late night camaraderie round a campfire. This is the perfect event for city folk, and if you’re not one of them or you can’t find digs with friends, then you’ll need to book a hotel if you’re looking to attend this multi-day event. If it’s good times you’re after, think inside the Lovebox.